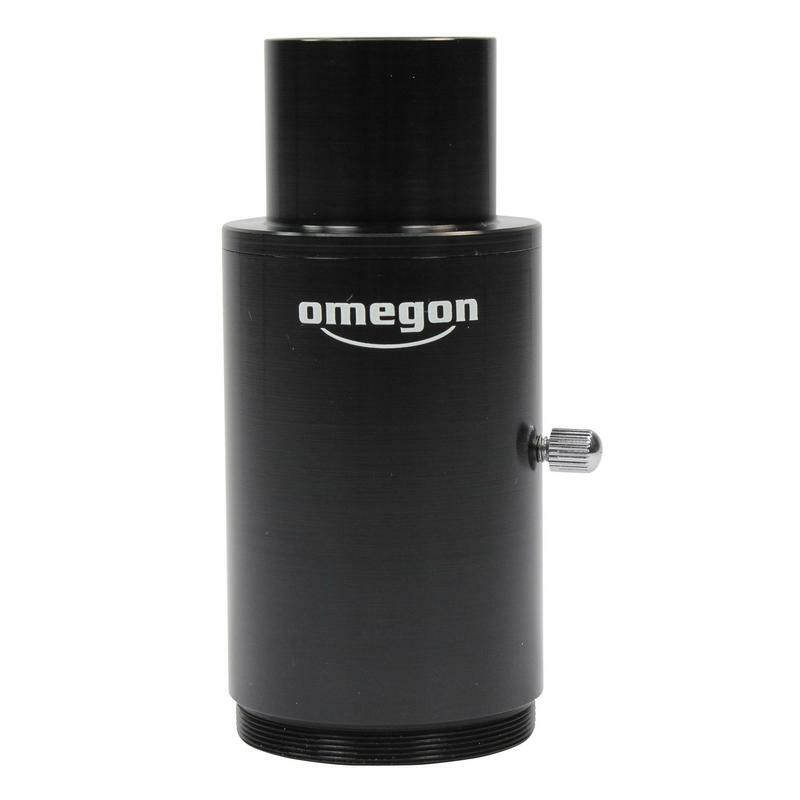 Home > Telescope accessories > Astrophotography > Camera adaptor > Projection adapter > Omegon > Omegon Camera adapter 1.25"
This camera adapter provides a secure connection between your SLR camera and your telescope. 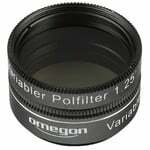 It allows you to immediately start taking focal plane or eyepiece projection images. 1. The smaller front segment is connected to the telescope side via a 1.25” connection. On the rear side you will find a T-2 thread. 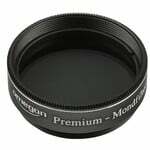 This focal adapter can be used for the moon, sun and DSOs, for example. You can directly attach a T-2 ring to it. 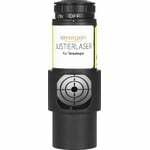 This adaptor has been made to be very short and only uses about 9mm of the optical path. The 1.25” connecting piece has a length of 25mm. 2. 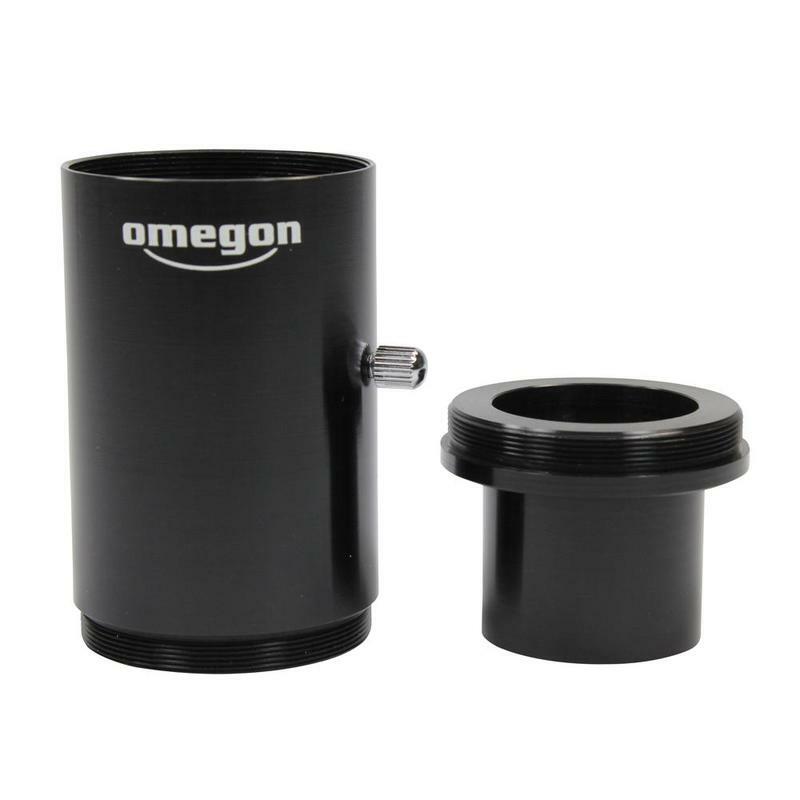 The second segment of the adapter is substantially longer and is used for eyepiece projection. It can be used for imaging planets, individual moon craters or sunspots, for example. The inside tube can take 1.25” eyepieces with an outside diameter of up to 38mm. The eyepiece can be locked in place via a knurled screw on the side. This segment has a length of 67mm. On the camera side there is a T-2 thread, onto which the T-2 ring can be screwed. 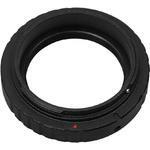 You can achieve the extension factors desired by using eyepieces of the appropriate focal length. If your telescope has a 2 inch focuser, the 2 inch Projection Adapter with T2-connector would be more suitable. 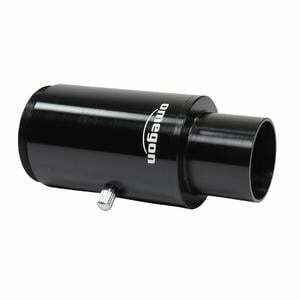 Alternatively, we also recommend the more flexible to use Variable Projection Adapter from Meade. 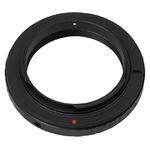 For focal photography, simply unscrew the front piece and combine it with a camera-specific T2 ring.